Forming a waste management business? Follow our advice to make the process more manageable. Wondering how to start a waste management business? We take you step-by-step from start to success. At first glance, the waste management industry's annual revenues look enticing. With 18,000 companies pulling in combined revenues of $75 billion a year, the industry routinely catches the eye of aggressive startup entrepreneurs. However, startup waste management business owners need to understand that the industry is extremely concentrated: the top fifty waste management providers rake in more than half of the industry's annual revenues. 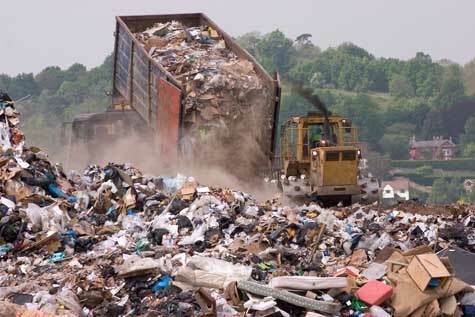 So in order to achieve profitability, startup waste management providers must excel in efficiency and scalability. Smooth and cost-efficient operations are critical, but your company's long-term survival may depend on your ability to gradual scale your operation to accommodate a growing customer base. Waste collection is a regulated industry. Consequently, new waste management providers need to thoroughly research state and municipal requirements before embarking on a startup. Near the beginning of the startup planning process, you should also get in touch with local landfills and transfer stations to secure a suitable outlet for collected refuse. Throughout the planning stage, you will need to consider a multitude of operational details for your waste management startup. Waste collection vehicles and hiring will be obvious challenges that need to be addressed. However, you will also need to consider environmental standards, trash containers, HR, marketing and other less obvious issues. Everyone needs a waste management provider, so finding customers for your startup should be a snap, right? Not exactly. Most homeowners and landlords already have a waste management provider and aren't inclined to switch to an unknown entry to the marketplace. To acquire customers, your waste management provider needs to be visible and unique. Although market visibility can be achieved through online and offline marketing strategies, your messaging will need to highlight the things that make your startup different from other waste management providers in your area. Price, efficiency, scope of services -- whatever sets your waste management operation apart from the rest of the marketplace can and should be leveraged as a motivation for new customers to come onboard. Mission Statement – Your description of your waste management business's reason for existing. Goals & Objectives – Goals are broad targets; objectives are the tactics you'll use to reach your goals. Prior to launching a waste management business in your area, it's a smart move to determine what the competition looks like. We've provided the link below to help you find competitors nearby. Complete the form by entering your city, state and zip code to get a list of waste management businesses that are close by. After you've evaluated your local competitors, the next step is to have a conversation with someone who is in the business. If you think your local competitors will give you advice, you're being overoptimistic. It'd be crazy for them to teach you the business. Thankfully, an owner of a a waste management business in a different city will be much more likely to talk with you, as long as they don't view you as a competitive threat. In that case, the business owner may be more than happy to discuss the industry with you. If you are persistent, you can find a business mentor who is willing to help you out. The key question new becomes: how to find a waste management business owner on the other side of the country to talk to? It's almost always preferable to buy a waste management business than to pursue a waste management business startup. Although buyers should always perform thorough due diligence, there at least three reasons you should consider a waste management business purchase as your entryway to business ownership. Initial Revenue. With a business purchase, you'll have the ability to buy a company that is already operating in the black. Established Operations & Processes. Existing businesses are established operations, with the necessary processes, people and other resources already in place. Capital Acquisition. In general, it's easier to finance an existing business than it is to fund a startup. While a startup only exists on paper (initially), established businesses have the benefit of historical earnings statements and tangible assets. The odds of achieving your primary goal of making a success of your new business are higher if you purchase a franchise rather than going it alone. Before opening a waste management business, you would be wise to investigate whether franchising might make your life much easier. What should we add to this article to help teach people how to start a waste management business? Your input helps this article become more useful to others. Already Own a Waste Management Business? Do You Sell to Waste Management Businesses?